Since 1992, Richard S. Hollander, Chairman and CEO of MetWest Ventures, has partnered with management teams who have managed assets for several of the largest U.S. pension plans, creating related investment strategies that have totaled more than $80 billion AUM. 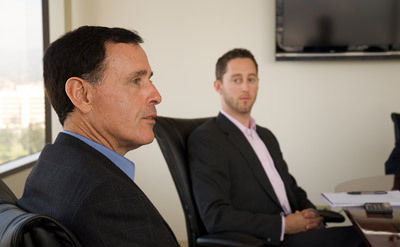 Having partnered with, invested in, and produced successful firms such as MetWest Asset Management, MetWest Capital Management, Post Advisory Group, and MetWest Securities, MetWest Ventures assembles management teams with deep expertise in acquisitions, restructurings, and other special situations. MetWest Ventures’ most recent undertakings are Aristotle (opens new page), a family of employee-owned investment management firms that collectively manage equity and fixed income strategies, and MetWest Realty Advisors (opens new page), a commercial real estate private equity firm dedicated to the objective of achieving above market, risk-adjusted returns on investments in the commercial real estate space.